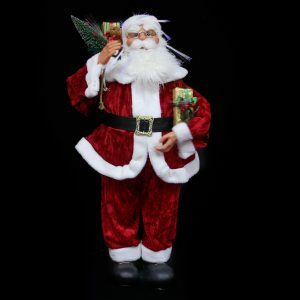 Home / Shop / Christmas Homewares / Christmas Ornaments / Santa Ornaments / Santa/Deer Spring Body Asst. 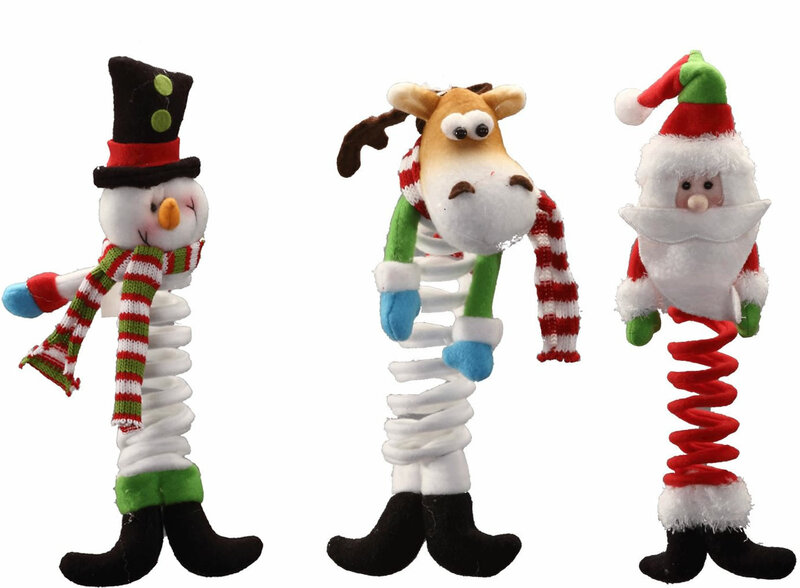 The Santa, Snowman, and Deer with Spring body and bendable arms come in an assortment of three different themes for buyers to choose from- the merry Santa, sweet snowman, and delightful deer. Each are festively accented and have a unique spring-style body that gives them movement and life. Each of these plush characters measure around 7cm wide by 20cm in height. These are truly captivating when suspended or hung from a window, mantle, or your tree. They will bounce and move while their bendable arms help to secure them in place. Give these unique and fun accents to a friend or neighbour this holiday for a low-cost Christmas gift that they will enjoy in their own home decor for many holidays to come!